With only a few days remaining until the summit, it's time to pack your bags and finalize your plans! The countdown to the 2017 Finance Magnates London Summit is in full swing, with the event now approaching 2,000 attendees, the largest turnout to date. 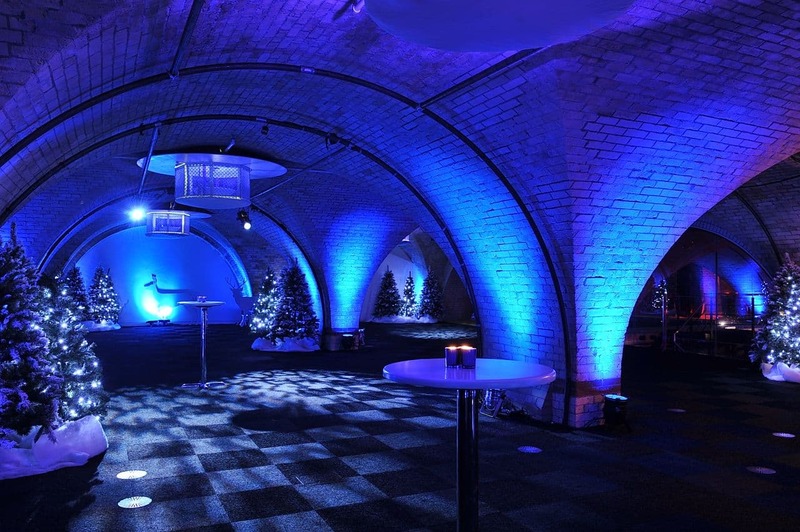 The summit will take place on November 14-15 at Old Billingsgate – if you have not had a chance to register make sure to reserve your seat. The 2017 London Summit will feature a packed agenda focusing on all elements of the financial services industry. This includes a wide range of panels, discussions, seminars, and workshops on the cryptocurrency space, along with the retail and institutional FX fields. This year’s event looks to be the largest instalment of the summit to date, as a larger number of attendees mean more networking and more business opportunities. Attendees are encouraged to familiarize themselves with the agenda of the two-day event. Day one of the summit will include the Finance Magnates Networking Blitz. The event is a comprehensive gathering of the industry’s biggest players, thought leaders, and executives. The Blitz is sponsored by the Summit’s Key Partner, Zotapay. The session is an integral part of the London Summit, and it is open to all attendees. We encourage you to join us after work, get your badge ahead of the bustle of the day event and grab a drink while you strike up the conversations you need in the Vaults of Old Billingsgate. As always, the retail trading industry will take center stage at the event with 2017 being no exception. Indeed, the retail trading industry has seen a rapid metamorphosis during the year as brokers quickly move towards adopting the MetaTrader 5 (MT5) platform as well as cryptocurrency offerings. Additionally, the retail space has been operating under the specter of upcoming regulations that were ultimately postponed until 2018. Attendees and guests will have no shortage of, seminars, and panels to attend with such topics including multi asset offerings, marketing discussions, an MT5 seminar, a presentation by TradersYard, and several workshops touching on growth strategies and CFDs, among others. Looking contact attendees ahead of the event, download the event app! The app is designed to improve your London Summit experience. By downloading it you will be able to contact attendees for free, navigate different exhibition areas, and ask speakers questions. The summit will also be casting the spotlight on the institutional realm, delving into the field of RegTech, as well as detailing the Global FX code implemented earlier this year. Moreover, with only a few months to go until the passage of MiFID II on January 3, the focus will be firmly trained on this segment. Check out what we have in store for you. One of the marquee panel discussions of the event will take place in this space, with a star-studded CEO panel grappling the latest trends and the industry’s readiness for MiFID II regulations. Furthermore, other topics will be highlighted at other workshops, including risk management, an FX convergence analysis, and the Global FX Code panel discussion. 2017 has largely been the year of crypto – this year has seen a growing emphasis on cryptocurrencies across the retail trading industry. With the price of Bitcoin hitting all time records by the day and making inroads into mainstream finance, it is little surprise that we decided to give cryptocurrency some time on the agenda. Attendees can learn more about industry adoption and future trajectory via blockchain technology, while garnering some clarity about the various applications of cryptocurrency for financial services. In addition, the emergence of initial coin offerings (ICOs) will also be emphasized, including workshops detailing their advantages, risks, and future. Voting took place over two stages with registered attendees selecting the best performing company in each respective field. The awards reflect both trends and shifts that the FX industry has undergone in the most recent year, and are decided based on votes from industry peers and attendees. Did your company win? Make sure not to miss the show on November 15 to find out!